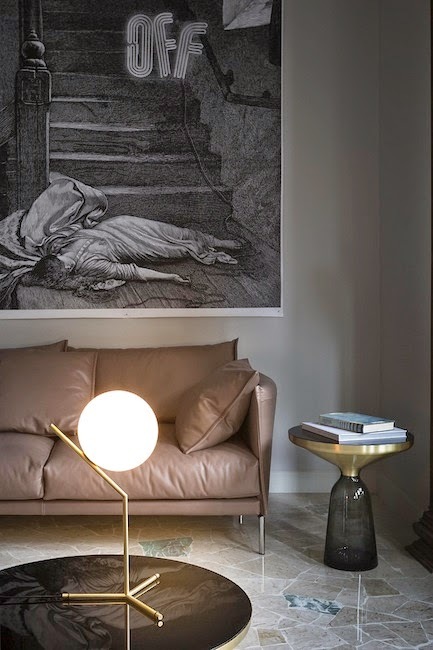 This table lamp is perfect to go with that Minotti sofa that you just purchased! I just love the simplicity of the design. This IC lights by Michael Anastassiades for Flos comes with table lamp, ceiling light, sconce, or floor version. The design was inspired by jugglers throwing balancing balls in the air. Now that's the type of whimsy I can live with. A table lamp will set you back $625 which is on par with anything you will find at DWR.... not cheap but not super pricy. How to take your kicks up a notch? Can toddler's room be modern as well? Jeff Koons artwork on discount?